Description: Suede wraps are lightly worn along the edges. Gilt title on front is a bit rubbed. Faint crease along spine. Tide mark along front edge of cover near spine. One sticker and a black marker price on rear end papers. Slight damp staining to top and fore edges of about last 25 pages or so. Pages are free of marks. 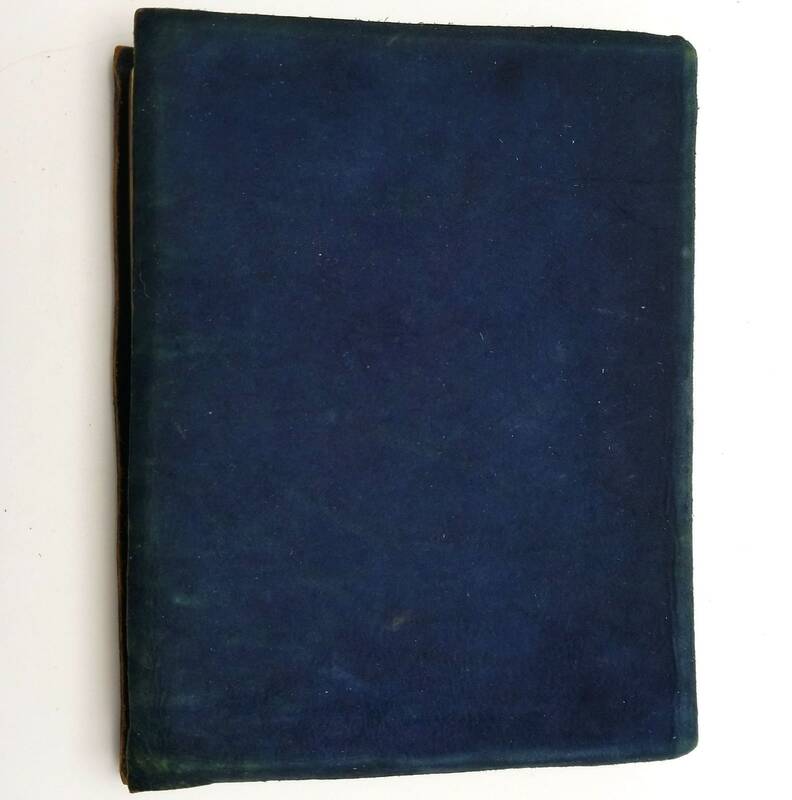 One signature is loose (p. 69-80) in binding. Introduction by S.C. Kohs. Foreword by John T. Hotchkiss. Navy blue suede leather wraps, gilt personalization for W. Hodgson (Portland manager for the Fuller Brush Company). A kind of a civic primer. 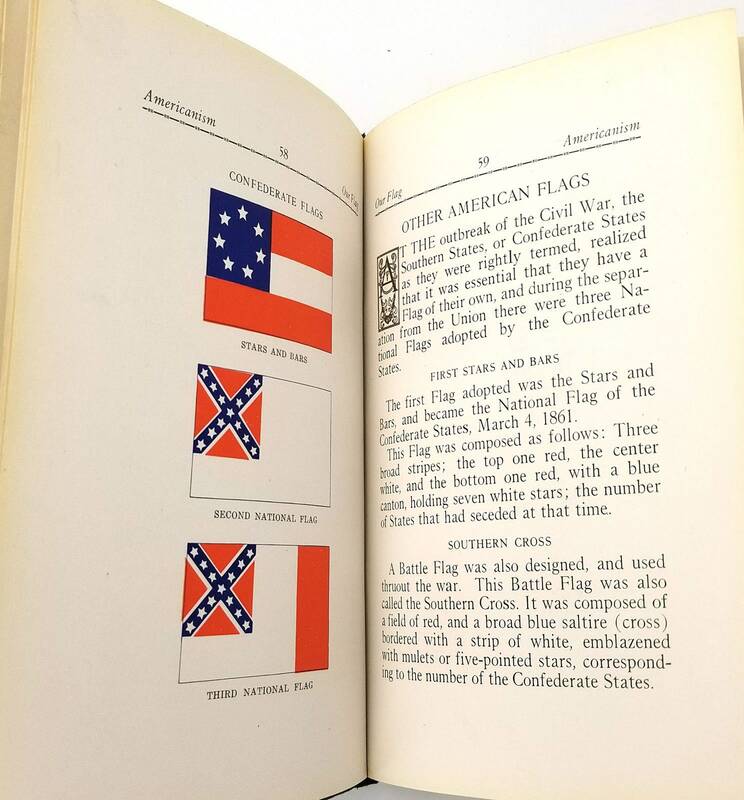 The primary contents of the book are 1) The Flag and America's historical flags, The Monroe Doctrine, The Declaration of Independence, The Constitution of the United States, and Our Presidents. The book notes that "This work is an Oregon product. 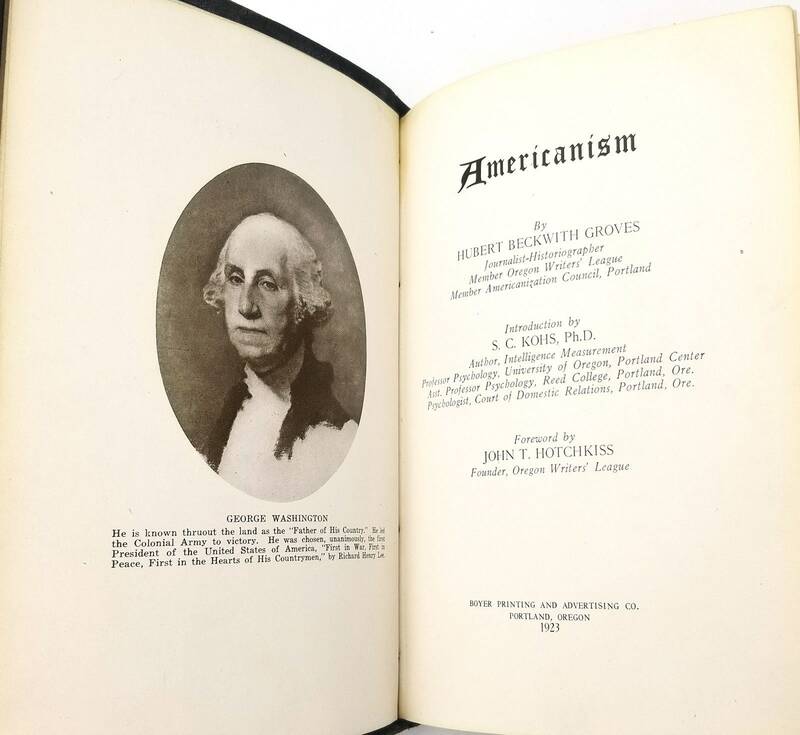 The author, Hubert Beckwith Groves, is an Oregonian; the volume was printed by an Oregon Master Printer and Publisher, John C. Boyer; the engravings were made by Oregon engravers, Hicks-Chatten Company; Thomas. H. Collard, an Oregon artist, drew the necessary illustrations for the book." 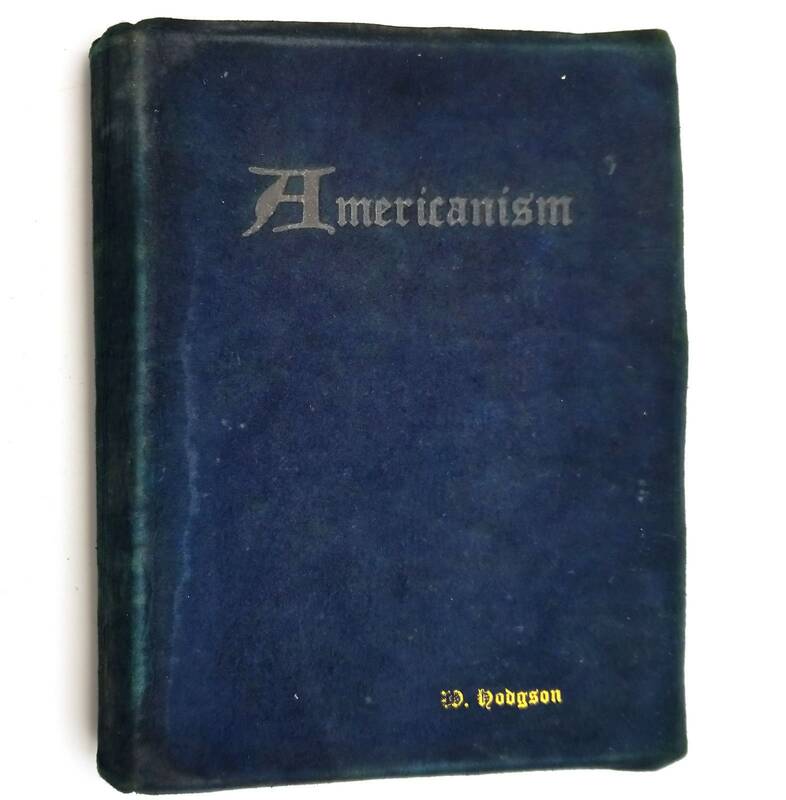 The book was made possible by a fund supported by more than one hundred Oregonians (all listed by name and business), ranging from the governor and Oregon's Senators, to judges, congressmen, business owners and managers, bankers, leading educators, journalists, and other civic leaders, a kind of who's who in Portland in 1923. Publisher: Boyer Printing and Advertising Co. Size: 5.25 x 7 inches.